“Sierra” aka “Pook” is a 1995, 15.1 hand Appendix QH that was purchased out of a field as a just coming 3yr old. 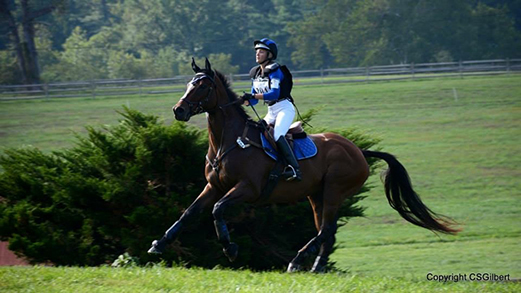 Amy started her from the beginning Levels of the sport and brought her all the way up to the 3* level of Eventing. 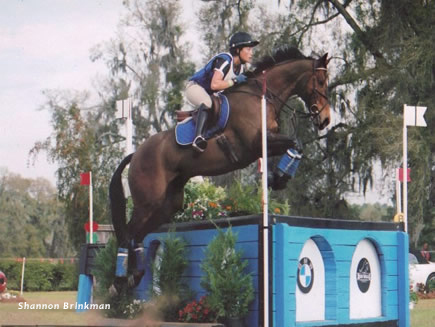 One of Sierra′s career highlights was being a member of the 2005 NAJYRC CCl** silver medal team. This horse is known for her small stature but huge jump! For what she lacks in size she more than made up for in heart and athleticism. She is currently continuing her “retirement” by teaching Lessons weekly with no sign of slowing down. She is a true competitor that loves her job and Amy is truly blessed with being able to have the chance to have such a wonderful partnership with her. ′′Figgy” is a 1997, 17.1 OTTB that was purchased by Kim as a just coming 3 yr old. 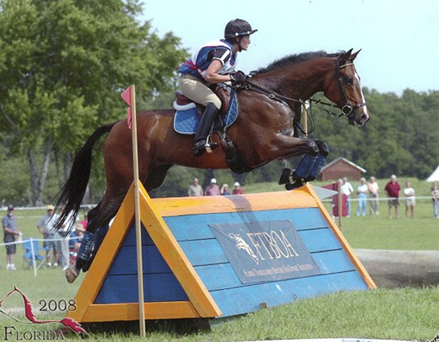 Figgy was started by Kim before Amy took the reins and began his Eventing career. AIso known for his Powerhouse jump, Figgy proved to be a great competitor completing multiple FEI competitions over the years and giving Amy the ability to compete at the highest levels of the sport. Figgy was retired from upper Ievel competition in 2011 and is now aIso teaching Iessons to Amy’s students in his retirement. Dizzy (HSF Disaster Relief)–“Dizzy” is a 2010 16H, 0TTB that came to us in October of 2013. Due to his young age, we gave him a year to "wind-down’’ from the track life via turn out and light hacking. We started him in training in October of 2014 and he has since competed sucessfully up to Training level eventing. We took our time with this young horse because he has great conformation, a knockout canter, and alI the makings of a stellar event horse. We are very excited about his future! Here at High Sierra Equestrian, we believe in a no pressure and enjoyable sales process. Buying a horse is a huge commitment that requires a perfect pairing every time. We specialize in taking OTTB's and turning them into successful partners for their new owners. Our horses come from well-respected breeders / trainers that we have a consistent contacts with through the course of the year. Through our connections in this aspect of the sport, we have the ability to match rider and horse appropriately and ensure a perfect partnership.